Hi! It's Jilly. Sorry I didn't get the walk up yesterday! I forgot to schedule it post, and things have been TOTALLY crazy! My sister is in town all week for Thanksgiving. Yay yay! Taken with this fun new app I found, Picibooth. AND, the kids and I are in a play this weekend! The play is A Gilbert & Sullivan Christmas Carol. It is a really fun show. Here we are rehearsing for the play. We opened last night, and have another showing tonight and tomorrow afternoon. Now, let's get in to the Weekend Blog Walk! Thank you for supporting each other and linking up each week! 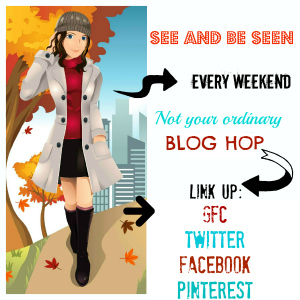 New follower from weekend blog hop! THanks for hosting. Would love a re-follow! Thanks!